Chess is one of the popular indoor games played by people all over the world. This game is considered to be played from the times of kings and it is considered as the game for intelligent people. Though popular, the history and origin of the game is still unclear. There are lots of disputes and debates about the chess’s origin of place. However, most people agree that this game is not invented by a single person. 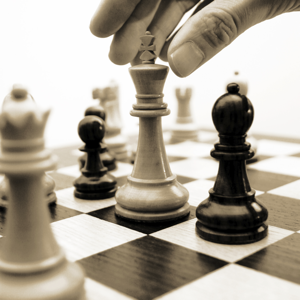 The game of chess gained huge popularity in the year 1886, when the Wilhelm Steinitz become the official chess game. One legend says chess was invented by a wise man, in India, who wants to make the King (Shihram) realize the importance of every citizen. He invented the game in such a manner that it consists of King, queen, rooks, bishops and pawns. The King liked the game and he rewarded the wise man with lots of wealth. The King also asked everyone in his kingdom to play this game. The wise man also asked the King to fill the first square with one grain of wheat and the next square with two, and the double the amount till he fills all the squares. Though the King was first offended, he ordered his servants to oblige the wise men’s order. However, the servants replied that there was no enough quantity of wheat available to fill all the squares. This made the King understand that just like pawns, no one should be underestimated in life. Another history of chess was portrayed by a man named – H. J. R. Murray, in the book “A History of Chess”. This book was released in the year 1913 and it is very popular at that time. According to Murray, the chess game was first invented in North India and then traveled to Persia, from where it is spread all over the Asian continent. In those days, the chess was played by the nobles in the courtyard of India or Persia. The words like “Shah (King) Mat” was used in the gameplay. This word is similar to check or checkmate, which is often used in a modern chess game. He also tells how the chess made its way to European countries before it transformed to the modern chess. Apart from the Indian link, the game also has a story with Chinese roots. There are also people, who believe that chess was first invented in China. The legend says that a Chinese commander called Hán Xin created this game to depict a battle. The game was forgotten after the famous battle and it again surfaced in 7th century A.D. The game made it transformations till the 15th century. At times, it was prohibited and also sanctioned by the Christian churches. The modern chess game into its shape in 1880’s, which is referred as the romantic era of Chess. With concrete rules, this game gained more popularity. Today, you can play the Chess in form of online too. There are many websites where you can find online chess. There are also chess competitions conducted via online.